The chance that you’ll get hooked on painkillers after surgery is low -- only about five in a thousand people do, according to a new Stanford study. But researchers found that the type of surgery can make a difference. “The surgeries that were at high risk were knee replacements, breast surgeries, hip replacements and open gallbladder surgeries.” says Dr. Eric Sun, anesthesiologist and lead author on the study, published Monday in the journal JAMA Internal Medicine. He says these procedures, which can involve particularly painful post-operative recovery, were about twice as likely to lead to chronic opioid use. 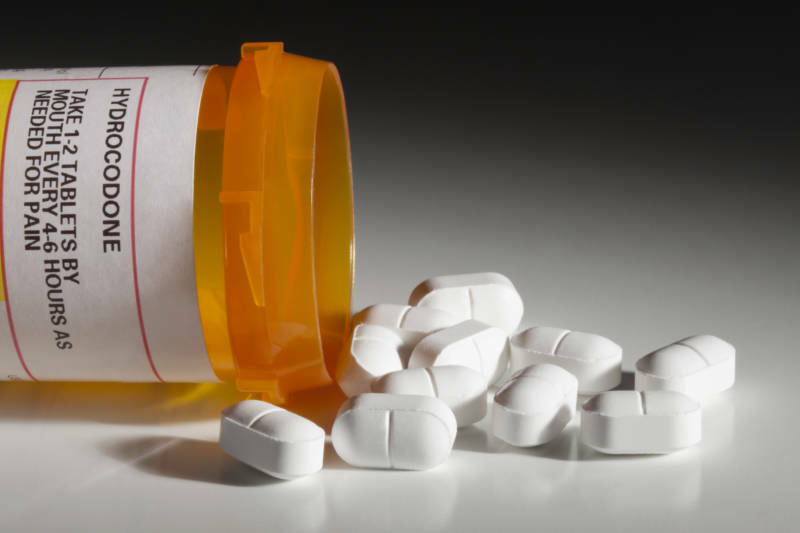 The researchers also noted that males, the elderly and people taking Valium or antidepressants before surgery were also more likely to progress to chronic opioid use. Scientists reviewed nearly 642,000 health insurance claims filed between 2001 and 2013 for 11 common types of surgery. The authors tracked whether procedures led to chronic opioid use, defined as 10 or more prescriptions or receiving more than a 120-day supply of an opioid like fentanyl or oxycodone in the first year after a surgical procedure, excluding the first three months after surgery. Unlike in previous studies, Stanford researchers examined patients who did not have an opioid prescription for at least one year prior to surgery. Sun says patients shouldn’t be deterred from having surgery because they fear an addiction to fentanyl or oxycodone. But he does recommend surgeons consider alternative options like Tylenol, Advil or regional anesthesia like nerve blocks. There are also psychological approaches to relieve pain and calm the nervous system, like diaphragmatic breathing or meditation. “We hope that by optimizing patients’ psychology — and giving them skills to calm their own nervous system," notes study co-author and pain psychologist Beth Darnell "they will have less pain after surgery, need fewer opioids and recover quicker." Every day 78 Americans die from an opioid overdose, according to the The Centers for Disease Control and Prevention. Since the late 1990's the number of deaths from prescription opioids like oxycodone, hydrocodone and methadone has quadrupled. In 2014 more people died from drug overdoses than ever before.